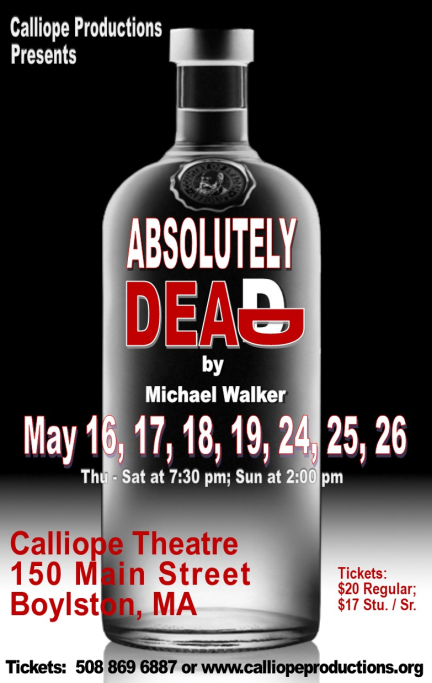 Absolutely Dead is a murder mystery in the spirit of Agatha Christie and seems to follow the "dark and stormy night" genre: eight people are stranded in a mansion on a remote island while a storm rages outside. However, the plot is anything but typical. By the end of the play, a rolling series of surprises builds to a remarkable conclusion. This is a family-appropriate play, suitable for children old enough to piece together a mystery.